RemSleep is a medical device manufacturer focused on forever changing the level of treatment provided to obstructive sleep apnea patients. Our DeltaWave interface is designed to provide unparalleled breathability and patient comfort - Patients enjoy normal breathing rates with no mechanical interruption, resulting in better sleep and fewer side effects. Obstructive sleep apnea (OSA), which occurs when throat muscles relax while sleeping, leads to the cessation of breathing for extended periods of time. OSA starves vital organs of oxygen, causing daytime sleepiness, tiredness, inability to concentrate fully, and other longer-term comorbidities such as hypertension, obesity, diabetes mellitus, and cardiac alterations. OSA is largely ignored - with roughly 80% of the estimated 29.4 million American cases going undiagnosed. This is extremely unfortunate as these comorbidities are associated with increased mortality in OSA patients compared to the general population. 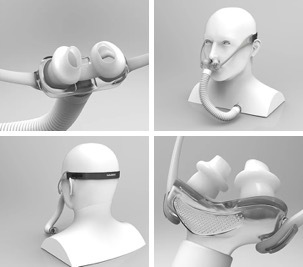 To overcome OSA, CPAP machines (continuous positive airway pressure) and interfaces (masks & headgear) were developed to supply a stream of pressurized air to the patient to prevent the collapse of nasal airways and throat muscles during sleep. But CPAP is far from perfect. In fact, even after 40 years of development, more than 50% of patients who are prescribed them quit using them within 30 days. 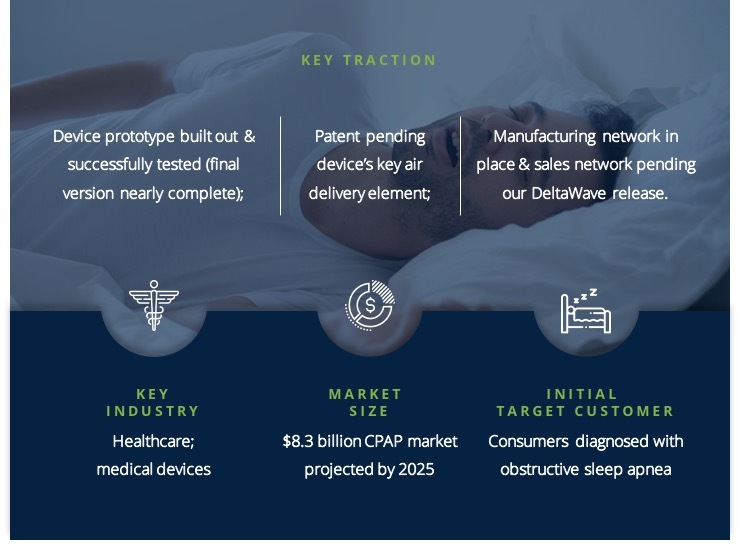 Here at RemSleep, our Founders have both been involved with CPAP therapy from its infancy - accumulating experience in the design, manufacturing, and marketing of devices and interfaces. After 5 years of trial and error, we’ve uncovered the underlying issue: most patients simply can’t tolerate breathing on the interfaces - due to faulty design. 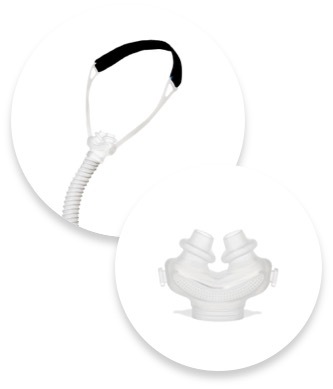 The CPAP interface products we create take the treatment of obstructive sleep apnea to new heights. This starts with our revolutionary DeltaWave device - which delivers air in a way that creates a pressure difference that patients don’t even notice, virtually eliminating the “work of breathing”. The patent-pending DeltaWave was built with flow dynamics in mind - utilizing a nasal-pillows interface that fosters better compliance. This directly addresses a DME Business survey (Durable Medical Equipment suppliers) which revealed that mask-interface breathability and comfort were the primary concern for 89% of patients. Thus, patients can expect a consistent rate of 14 breaths/minute (which your brain signals as normal) rather than the 9 breaths/minute that other CPAP interfaces traditionally deliver. No more interrupted sleep and better night time recovery are no longer pipe dreams. With a previous design doing roughly $200M in sales, our team’s experiences on the “work of breathing” component has been lauded for some time. Now, the next level is upon us. 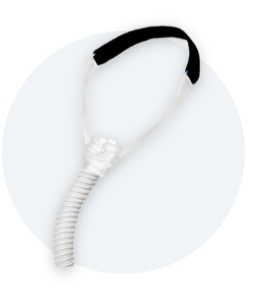 The DeltaWave is specifically designed with many unique airflow characteristics to enable patients with sleep apnea to breathe normally. For starters, it delivers a greater number of air molecules to the nasal entry port, and at a slower air velocity. 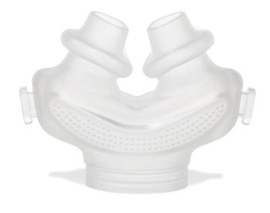 This allows for increased lateral pressure to the nasal mucosal membranes of the sinus area and a decrease in driving pressure. In addition, it will not dry or irritate the sinuses like so many other interfaces on the market do. Prototype fully manufactured and successfully tested on patients. Final market version is also all but completed (save for minor molding issues). Sales networks pending thanks to the successes of our Founder’s previous design, which did roughly $200M in sales. Patent pending secured on our air delivery system. Supply chain is up and running, with all manufacturers sourced. Receiving outstanding early testimonials, including one from Thomas Speer, Clinical Professor, Division of Pulmonary, Critical Care, and Sleep Medicine at UTMB-Galveston. For more information on RemSleep including what they have planned for the future, simply request access to the Business Plan portion of this Fundable profile! Has spent 35 years in respiratory product manufacturing, sales and marketing enjoying success as owner/operator of multiple businesses. His highlights include growing Medical Industries America from 0 to $25M in sales in just 15 years. Technical expert with 17 other patents in total. Possesses 25 years’ experience as an ICU respiratory therapist at Baylor Medical Center & Parkland Memorial hospitals, also spending 2 years with the Muscular Dystrophy Association. Past roles during his 35 years as an engineer & designer include Founder/CEO of Badencorp and Co-Founder/Director of Engineering at Searchmont Engine Company. Also worked 12 years at various Fortune 500 companies.